Google Discontinues Ads in Right Hand Sidebar of Search Results? 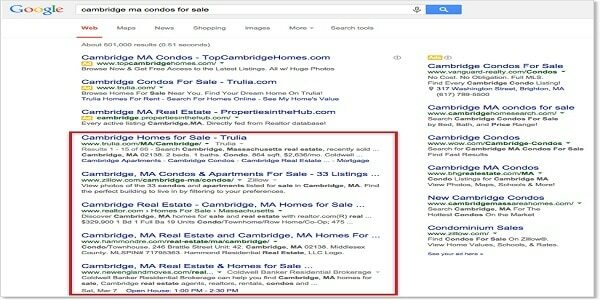 Home > Blog > Blog > Google Discontinues Ads in Right Hand Sidebar of Search Results? Don’t freak out if you no longer see ads on the right-hand side of Google Search results, that’s because Google is changing the way it displays ads on desktop searches. Well, this is about to change soon. Google is about to roll out major updates to its desktop search page and will do away with the right-side ads. Presently, when you fire a query on Google Search, you will be presented 3 ads above the search results and 8 ads on the right side as shown in a screenshot below. Google is about to replace these right side ads with 4 ads above the search results (it limited to 3 ads currently) and/or a few ads below the search results. Many sources have reported that Google has already rolled out the new Desktop Search update in their region. Google has seen in a decline in its ads revenue recently, and that’s why they want the advertisers to bid aggressively for the 4 ad slots above the search results instead of 8 ads on the right side. This will result in increased cost-per-click (CPC) for the advertisers and hence will increase Google’s ad revenue. 1. Product Listing Ad (PLA) boxes, which show either above or to the right of search results. 2. Ads will still be shown in the Knowledge Panel. Google mentions that this new update brings the Google Desktop Search much closer to the mobile search which is what Google has been trying to do since the past couple of years.